Have a wonderful Wednesday! Be Happy!Remember, good habits are... – Juka's Organic Co.
Have a wonderful Wednesday! Be Happy! Remember, good habits are just as addictive as bad habits but much more rewarding. If you don’t go after what you want, you’ll never have it. One must eat to live not live to eat. A diet is just code for a time when you eat food you dislike and still feel hungry. Get fit in the gym, lose weight in the kitchen. Juka’s Organic is presenting the purest extra virgin coconut oil from its kitchen to yours. Have a jar of this extra virgin coconut oil and discover yourself what sets it apart from other coconut oils on the market. Our extra virgin coconut oil has not been refined, processed and mixed with any other cheap oils. We provide you the purest and finest only those are unprocessed, cold pressed and organic. Take a jar of our 100% natural extra virgin coconut oil and obtain countless health benefits. 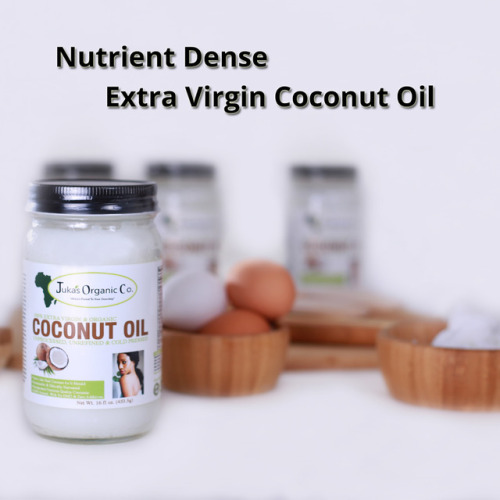 The nutrient dense extra virgin coconut oil has healing properties as well. Lauric and Caprylic Acids in our extra virgin coconut oil also helps boost metabolism along with many other health worth.